‘Behind the scenes’ is where we talk about the process of digitization. How we do things, the challenges we face, the cool new things we learn or equipment we get. 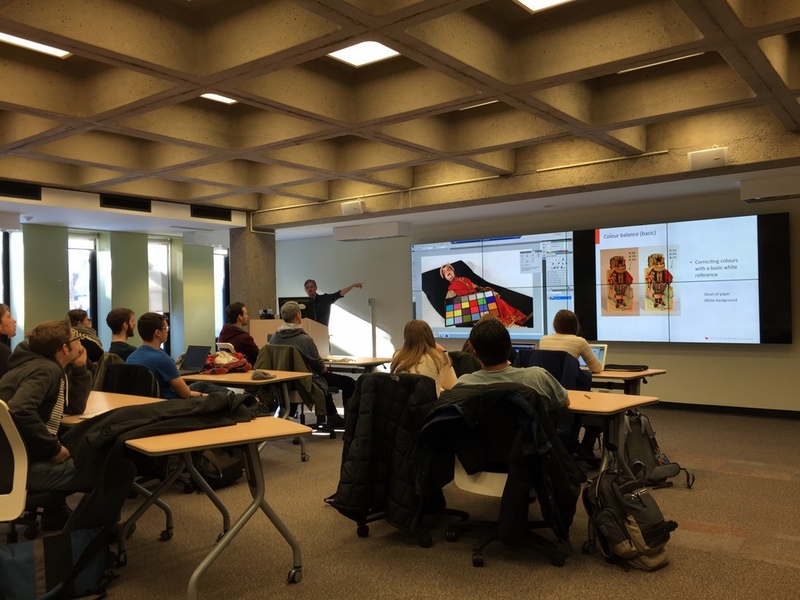 This week we went downstairs to the main floor of Redpath Library to play with the new visualization wall which is made up of eight 55-inch screens in the Research Commons. 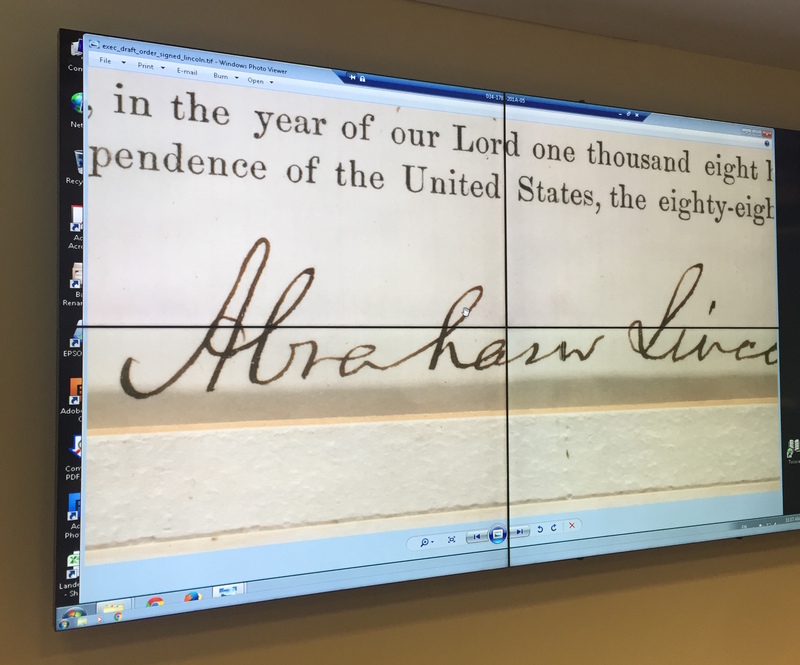 The first thing we wanted to see was how some of our digitized images looked up on the big wall. 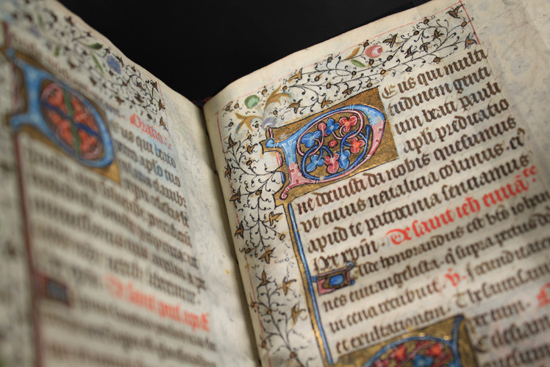 First we pulled up an a miniature (~ 2″ x 3″) from one of our Book of Hours (MS 102) we recently digitize to support a collaborative research project in medieval manuscripts housed in Rare Books and Special Collections. Even blown up so that one square centimetre covered four of the screens the image was crystal clear. Next we pulled up the high resolution image of Lincoln’s original draft order for troops signed in 1863 to see details in the ink from Abraham Lincoln’s signature. The level of detail that can be pulled up on these images is exciting! 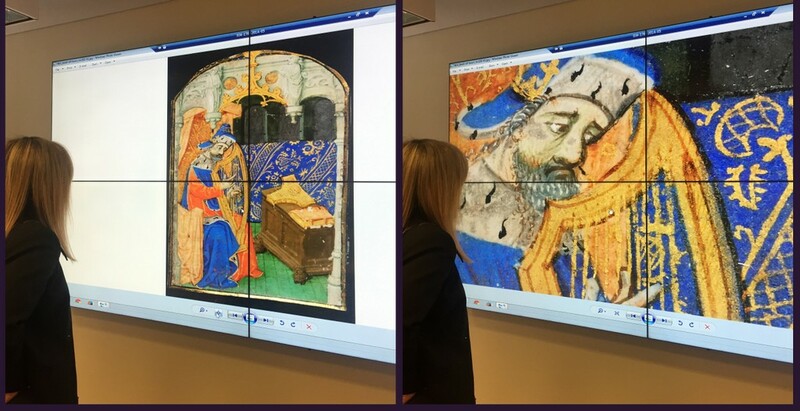 We can’t wait to invite the research teams down to see what can be seen with these screens. Our final experiment was yesterday when we hosted a graduate level multimedia class from the School of Information Studies. Here we wanted to take advantage of the large screen size and used half the screen for a presentation while on the other we used remote desktop to a computer in our lab and did a live demo colour correcting an image. Greg Houston doing a live colour balancing demonstration on digitized images. Next Friday as part of the activities for Science Literacy Week we’re opening up our doors to visitors! Come drop by Friday, September 25, 2015 anytime between 1pm and 3pm. We’ll have a short introduction talk every half hour covering what we do and what kinds of digitization services we offer. 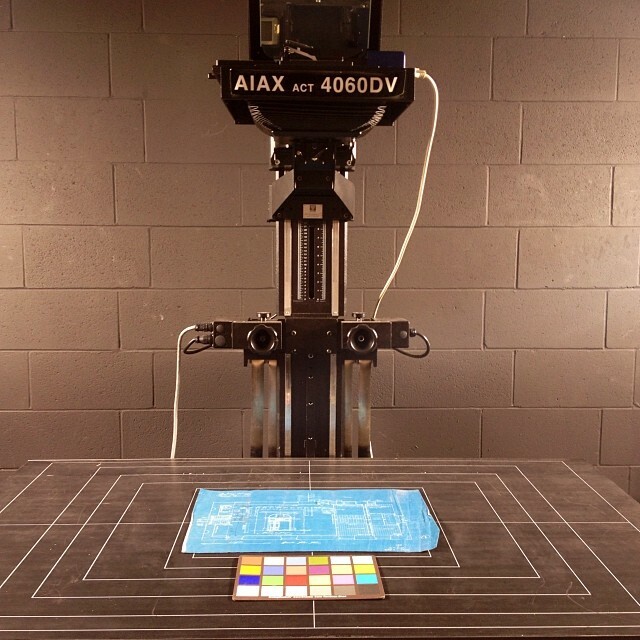 We’ll also have stations set up with demonstrations of various phases of the digitization process from picking the material, capturing it and getting it online. This will include demonstrations of our automatic pager turner and flatbed scanners. 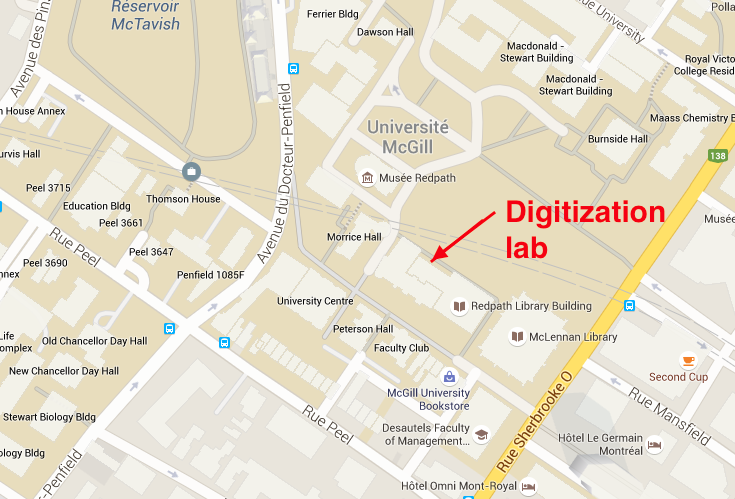 The Digitization Lab can be accessed via the Redpath Hall entrance on the McLennan-Redpath terrace and follow the signs to the 2nd floor. See map bellow. Travelling Library bookplate. Book no. 26. Date received 1901. McGill University Library. 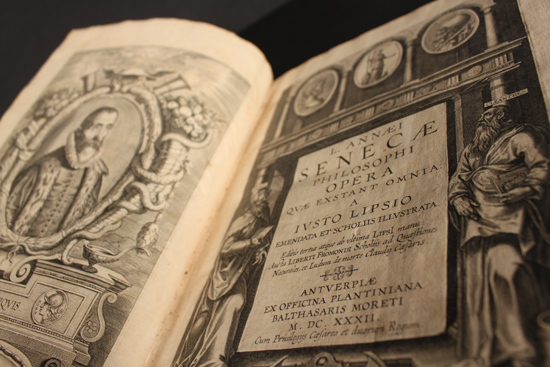 Rare Books and Special Collections. 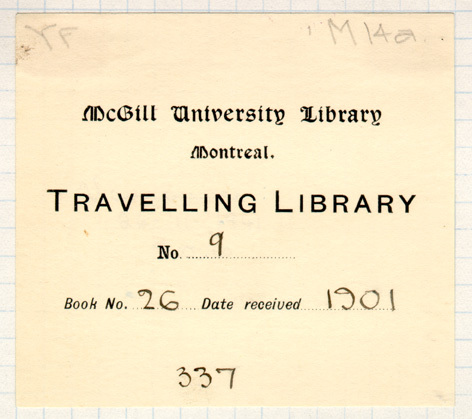 Beginning in 1899, this travelling library was supported by the McLennan family and administered by McGill University. It operated mainly in rural Quebec. In 1978 its functions were absorbed by the programme of the Bibliothèque centrale de l’Estrie. — Summary from the description of Record Group no. 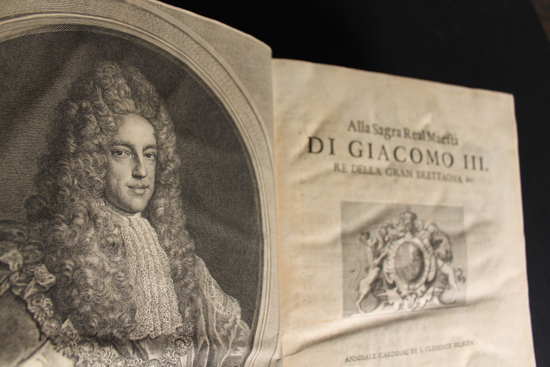 40 from Volume one of ‘A Guide to Archival Resources at McGill University’. McGill University Archives. 1985. Want to see more vintage McGill library bookplates? We’ve put a small selection on Pinterest for easy browsing from the Philippe Masson Collection of Ex Libris digital collection. 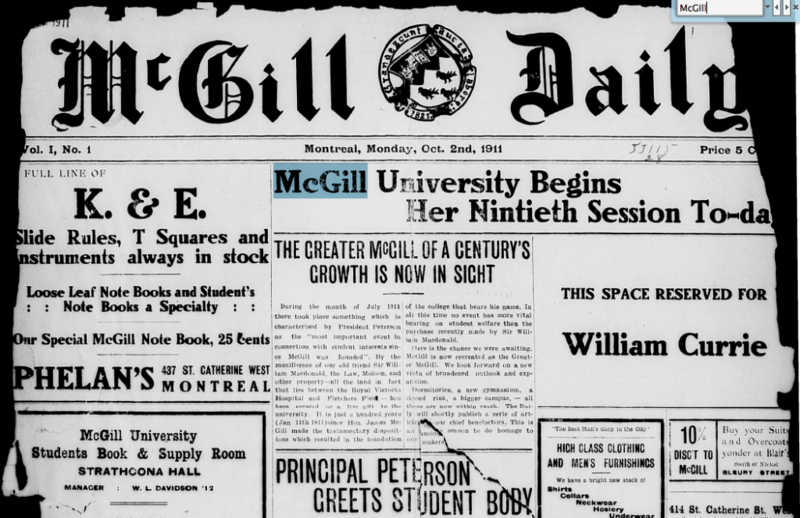 A proposal was made in the summer of 2011 to digitize all retro McGill theses. 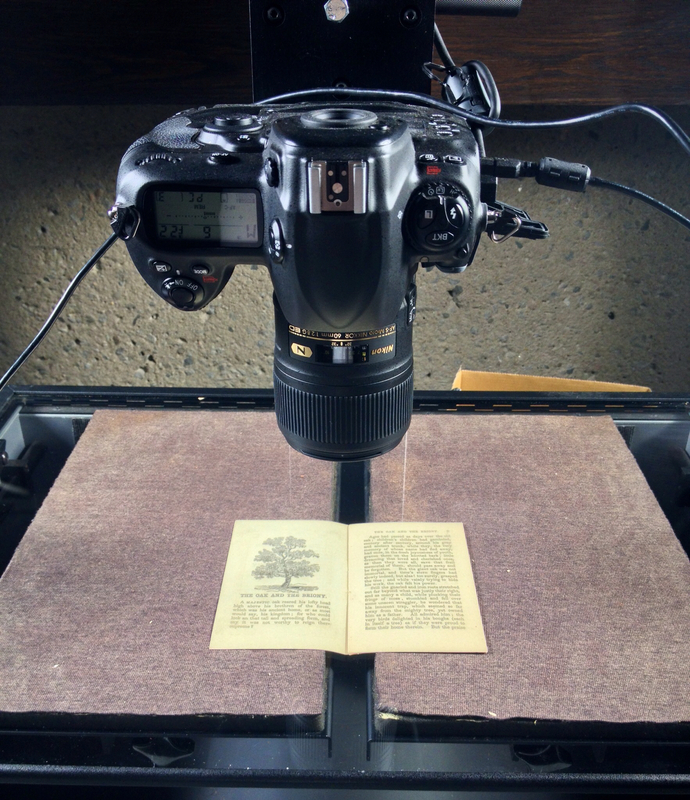 The goal was an ambitious one: to digitize all archival theses from Rare Books and Special collections that did not already exist on microfilm from the National Library of Canada. The period would span over 80 years, from 1881 all the way to 1966. A project launch date set for spring 2012. The equipment consisted of two high-production auto-feed scanners for loose sheet pages and a large-format scanner for over-sized material such as maps, commonly found in geographic papers. Bound theses would be digitized on the APT2400, the auto page turner that was purchased several years before and was best-suited for digitizing hardcover books. Not only were theses digitized and processed, meta-data were entered and PDFs were uploaded for each thesis record in eScholarship@McGill, the digital repository that stores electronic theses and other student publications. 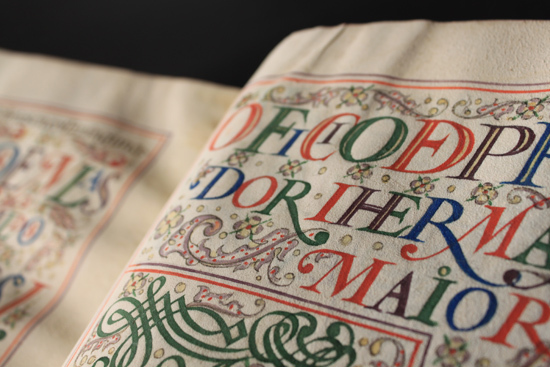 To date – two years since the project was launched – two decades of material have been digitized and uploaded, including a record 5000 theses and over 712,000 digitized pages for the period between 1946-66. 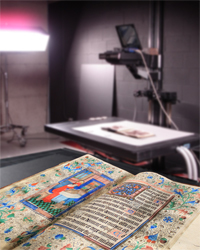 Most of the theses were scanned as sequences of full-colour raw images. After a quality check was done for missing pages, the raw images were processed and cropped into derivative files and assembled into a text searchable PDF. 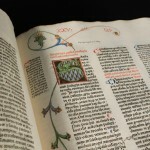 Text pages were converted to bitonal, while photos, illustrations, and diagrams were kept in full-colour. 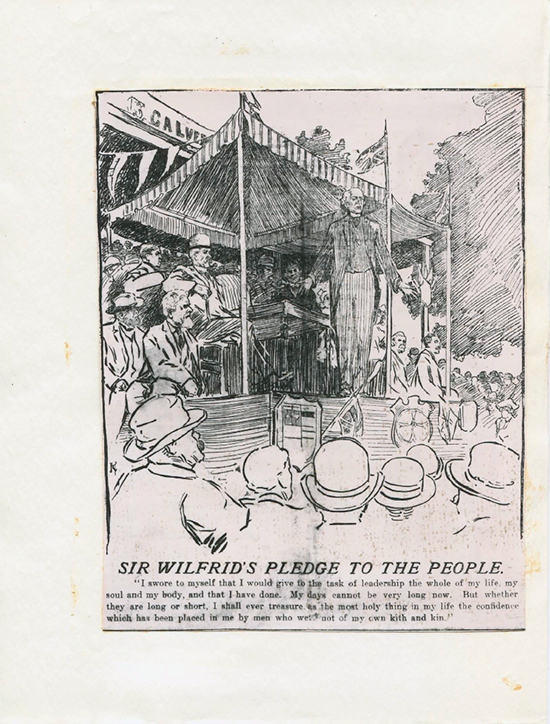 Many challenges were encountered during the digitization, including detached photos, fragile paper, faded text, and ink that left a powdery residue on the scanner. 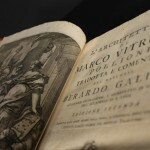 Despite these issues, we have managed to digitize every thesis and ensure the best reproduction possible. 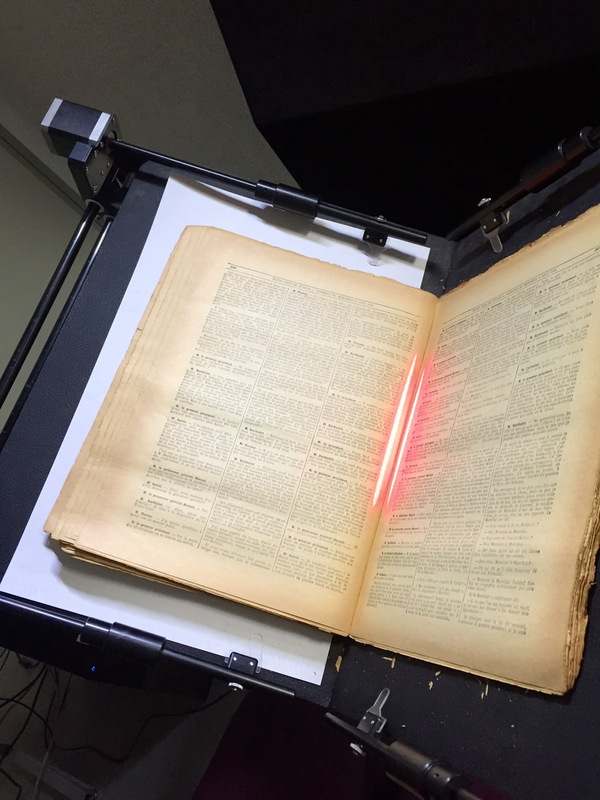 The process is continuing with the plan to complete all of the digitization up to the year 1881. 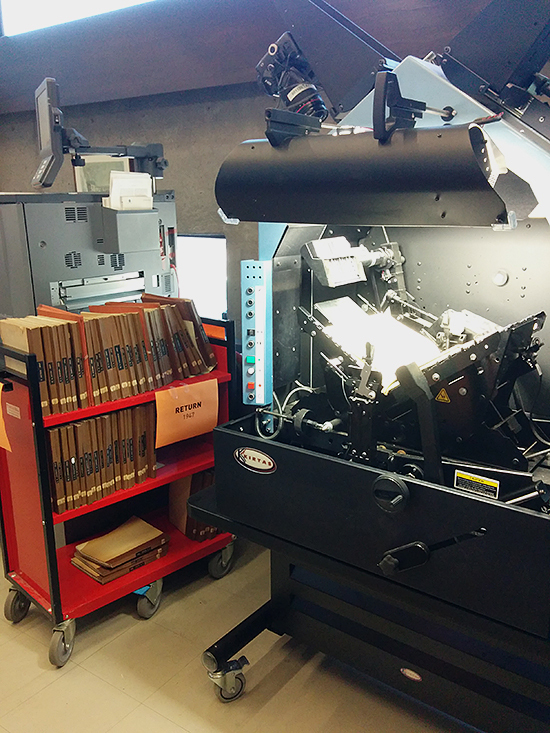 The Automatic Page turner (APT2400) digitization system. The McGill Library website banner: St. Jerome from a Book of Hours. The library website migration to the WMS (Drupal) system was a significant achievement in 2011. Not only was it a success from the standpoint of site organization, it also featured an improved redesign that included many graphical elements. One highlight of the redesign was to refresh the prominent site banner. 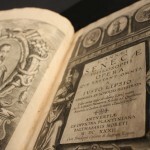 After considering numerous banner concepts and reviewing feedback from library staff, the idea was proposed to focus on Rare Books and its collection. 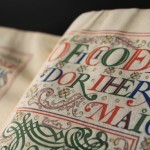 The web services librarian in charge of the website and migration, Ed Bilodeau, thought it would be a great opportunity to photograph a rare and unique manuscript. 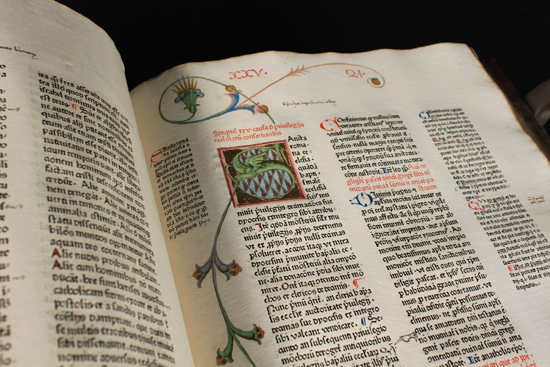 Several unique manuscripts were chosen by the Head of Rare Books and Special Collections, Dr. Richard Virr and these were photographed in a professionally-lit camera room at the back of RBSC. Although each of the manuscripts was beautifully ornate and interesting in its own right, one image stood out from the rest: the image of St. Jerome examining the pages of a book, much like a visitor to the McGill library would do today. It is from a Book of Hours, Use of Sarum, Flemish or English, c.1450. 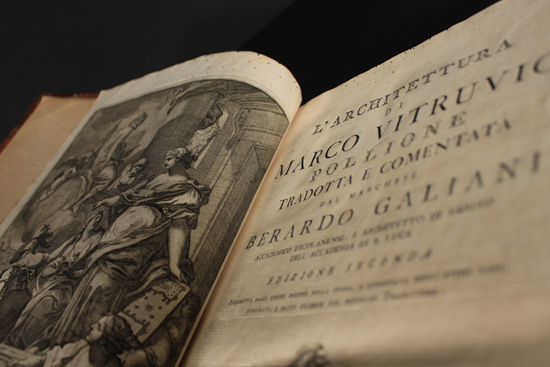 This image has become emblematic of the McGill library’s incredible collection and is now a signature image on many of its promotional items. 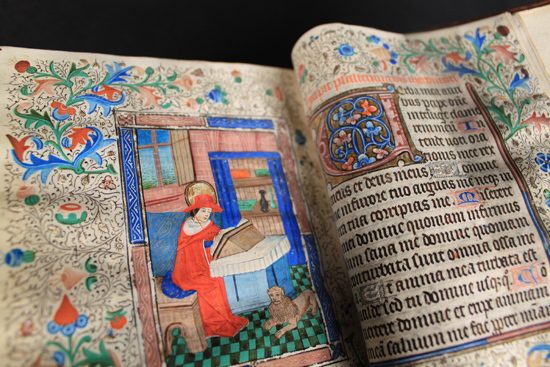 The Book of Hours is considered to be from the atelier of Willem Vrelant and is a gift of Sir Thomas and Lady Roddick, 1923.MS 98, Rare Books and Special Collections. Photographing each manuscript was a wonderful and memorable experience. One can easily appreciate the level of detail that can be captured through a lens. 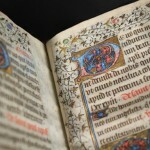 The original, unedited photograph of a Book of Hours, Use of Sarum, Flemish or English, c.1450. 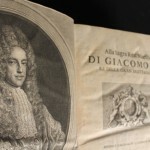 Other manuscripts from Rare Books and Special Collections that were selected to be photographed.